A red line across the width of the drawing shows the change in the top 1% percentage share of U.S. income from 1913 to 2012. 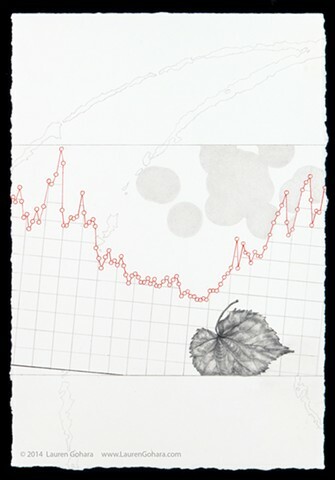 A rendering of a basswood leaf in graphite slips below the bottom border of the central section. A cluster of a few pale grey dots moves off to the upper right, as particle physics tracks race through behind.